The district covers South Portland's northeast section, including the Knightville and Willard Beach neighborhoods. 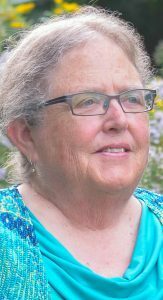 Maine Rep. Lois Galgay Reckitt, D-South Portland, is running for re-election in House District 31 against Kenneth Decatur, a South Portland Republican. District 31 covers the city’s northeast section, including the Knightville and Willard Beach neighborhoods. Political/civic experience: One term in House District 31. Served on statewide commissions for women, diversity, and on a compensation authority working to provide compensation for victims of sexual abuse at the Baxter School. Reckitt, now retired, was the director of Family Crisis Services for 37 years, working to provide resources for individuals experiencing domestic violence. The organization is now called Through These Doors. Reckitt said she has secured a reputation as an expert in the Maine House on domestic violence. A bill she submitted to amend domestic violence laws died on the appropriations table, she said. The bill would have provided stricter sanctions for repeat offenses of violating a protection order, and created the crime of domestic violence aggravated assault, if the assault is on a pregnant person and the victim is a family or household member. Reckitt said she is interested in researching methods to assist new Americans. “We need them here, we need their energy, their skills, their demographic,” she said. Decatur declined to be interviewed. Reckitt is a traditionally funded candidate and has raised $9,600, according to the most recent data from the Maine Ethics Commission. Decatur has raised no money.